As a young kid Rob started playing at “The Courts” in Tallmadge, Ohio right outside of Akron. The Akron, Ohio area was a hoops hotbed in the late ‘60’s and ‘70’s, but the “The Courts” was the place to be. It’s where Gus Johnson, Hall of Famer(2010) from the Baltimore Bullets came every Sunday, Tuesday and Thursday night to play ball. He was the predecessor of Dr. J. and far ahead of his time with his flamboyant style and physical presence. He would post-up and orate in his deep voice “Where you at, where you at now? Keep on moving, keep on moving” and then he would hit you with his waving one handed behind the back or over the shoulder pass and bam you had a lay-up or a dunk. 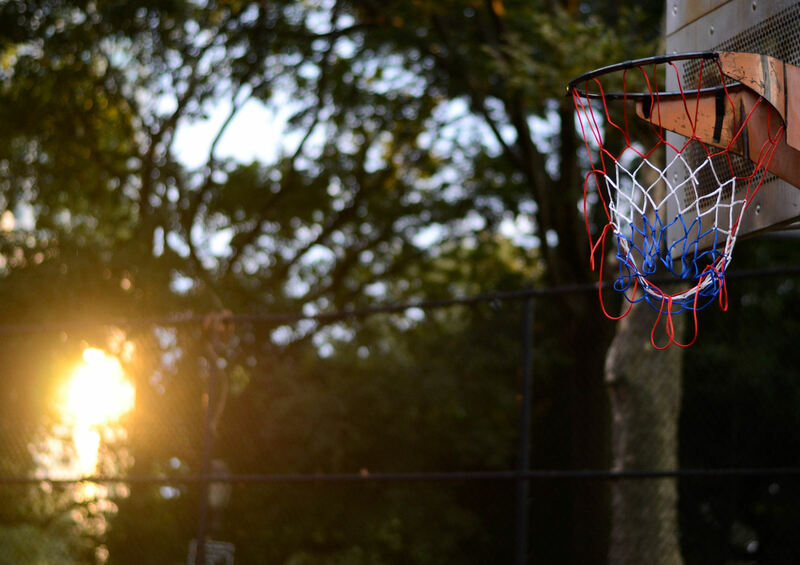 One summer night after many had left, he dropped a quarter on the top of the backboard and all mouths dropped as well. Not only did he play but all the inner city ball players, college and northeastern Ohio talents came to play on these summer nights. Len Paul(Akron U. legend), John Gilbert, David “Moon” Lewis , Dicky Bratt, Claude Virden(OVC MVP & ABA player), Stormin’ Norman(he would buffel Gus), Andy Parks, Willie Wade, Ruben Vance(Kent State standout), Donny Smith, Bradley Robinson, David Moore( Rob’s first recruit to play in Holland) and the late Mark Derer and never to forget the much older left handed, Jerry. It was all organized by coach Jim Maddox and initiated by his predecessor, coach & later Athletic Director Tom Rossiaky due to his close and personal contact with Gus. Both were legendary coaches in Tallmadge and the greater Akron area. Gus was the first player in the N.B.A. to bring down a backboard but he was an even greater inspirator with his defense and “inside” moves to all young prospects. He didn’t like the talk of young talents and even though he himself was very confident he would show them with an uncanny move that they still had a lot to learn with their game. Unlike others, he let his game do the talking. Phil Chenier, his teammate from the Bullets , Bingo Smith from the Cavs and fellow Akronite and teammate at Central Hower, Nate Thurmond, Hall of Famer(1985) from the Golden State Warriors and Cavs had all played summer ball at “The Courts”.